New year, New job. I'm happy to announce that from today I will be joining DigitasLBi as Lead Technologist for their Digital Innovation Group (DIG). The DIG model is a completely different way of working and aims to create products and services that are sustainable and that make a real difference both to doctors and to patients. I know that as DIG delivers more results through the rest of this year, we’ll see physicians and patients benefiting from our work. 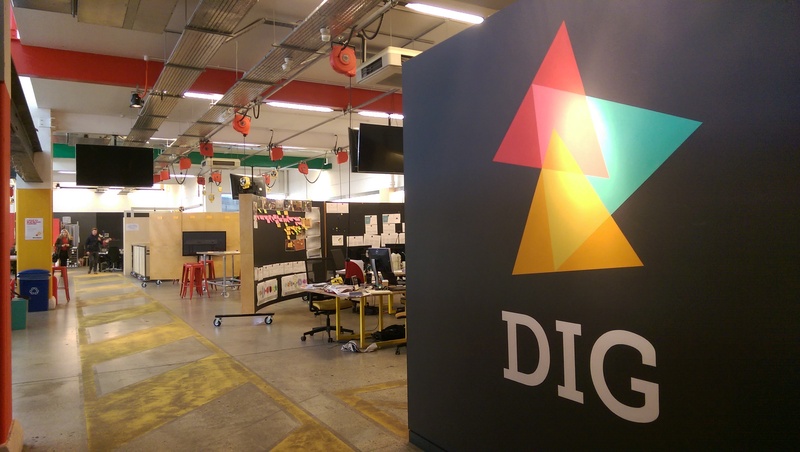 DIG's approach is very different from the traditional agency-work, and it stands-out by a very fast prototyping phase followed by a MVC release following great lean standards as we are used to in the start-up scene. The office itself is also very colorful and it definitely feels like a playground instead of a plain consultancy-firm office. I'm currently in charge of a product called Trace, which is a about helping patient retention during clinical trials by delivering a platform for study managers to fully configure their study and get an automatically generated website and also booklet to print. I might write an article about it in the future in the blog, so keep an eye on it!